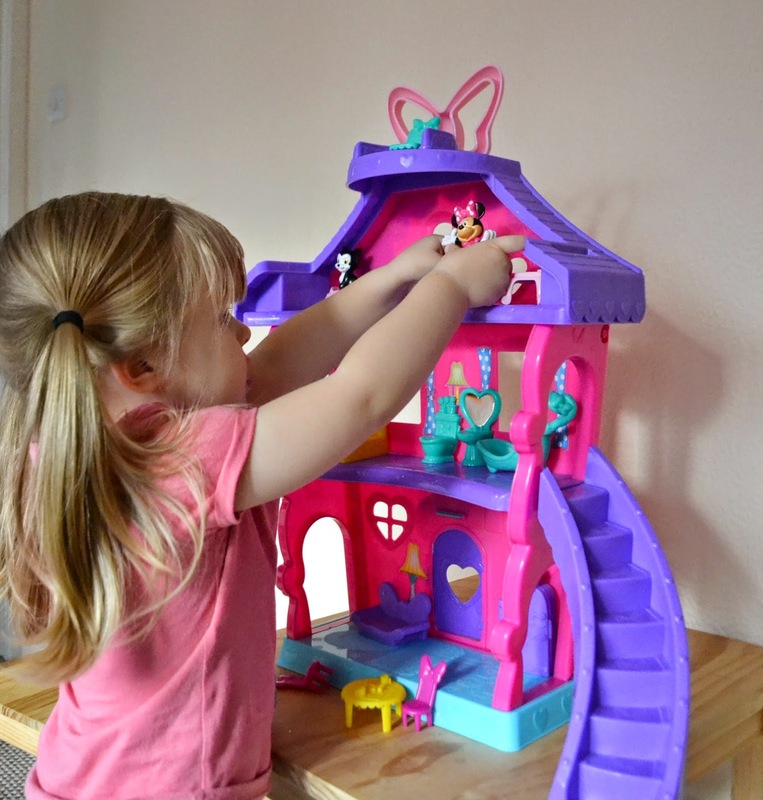 Although Paige loves playing with cars and dinosaurs she is very much a typical 2 and a half year old girl. She loves everything pink, girly and with a character. Her favourite and most loved has to be Minnie and Mickey Mouse. As you can imagine she was very easy to buy for at Christmas. She loves playing with figures and dolls. She is getting to that age where her imagination is so big and its amazing to watch. 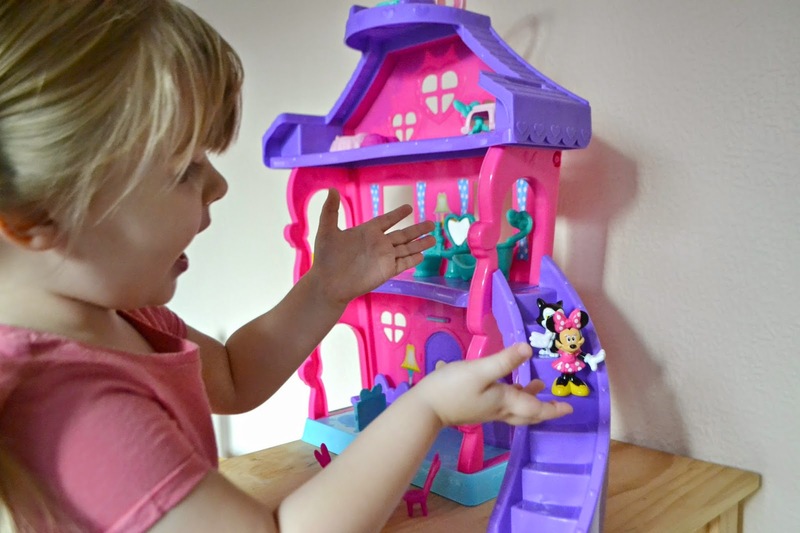 Before Christmas we were kindly sent the Minnie Mouse Polka Dot House to review. Paige loved it as soon as she saw it and is yet to stop playing with it. You have to put the house together but the instructions are very clear and it took less than 5 minutes, even for me! You even get stickers to give the house a bit of decoration. Paige loves the little Minnie the best. She makes her sit on the chairs, walk up and down the stairs and even jump off the top floor and fly. 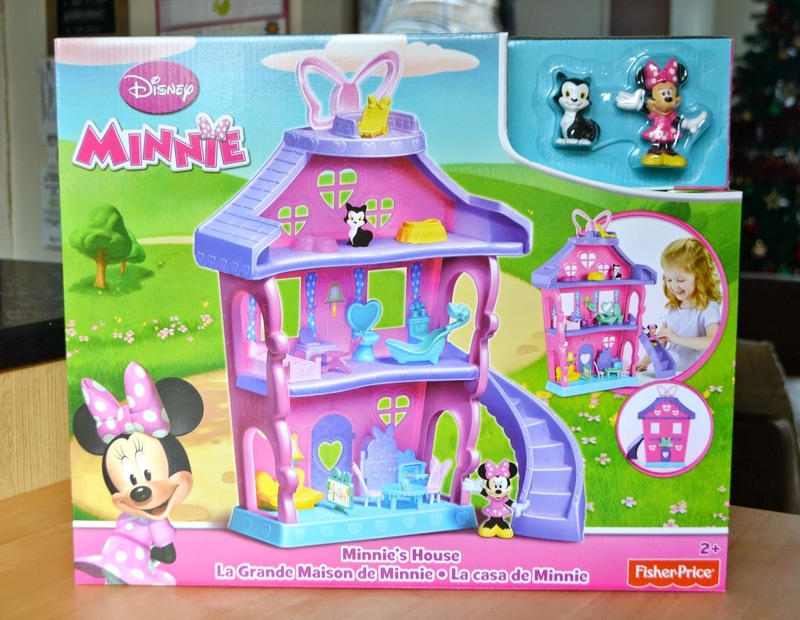 Along with the Minnie you get her little Cat, Figaro, plus loads of furniture. There are 4 floors all together and 5 rooms. Paige never keeps the right furniture in the right room but it's all about having fun and learning. She loves putting Minnie and Figaro to bed before she goes to sleep. The house is plastic so can be wiped down. We haven't had anything break and Parker even manages to get his hands on things too. He especially likes the fridge, the little chunky! 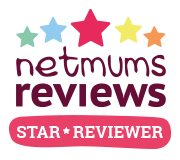 We love Fisher Price and I personally think they make really good toys and this one doesn't disappoint! 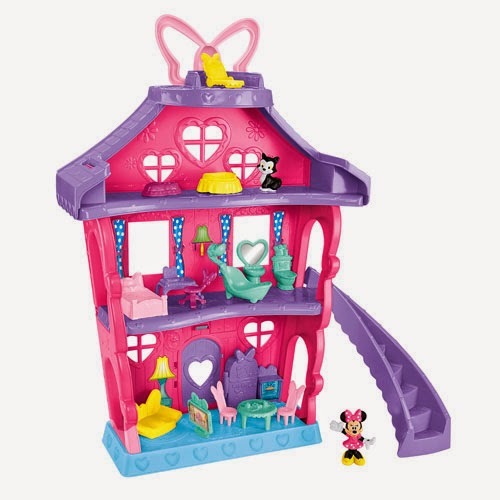 Do you have a Minnie Mouse fan in your house?